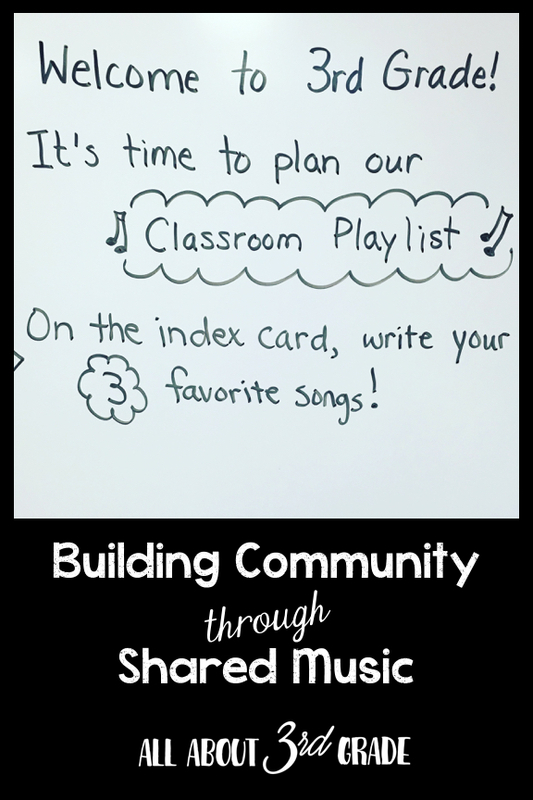 Today I am going to share one of my favorite ways to build classroom community: creating a classroom playlist. 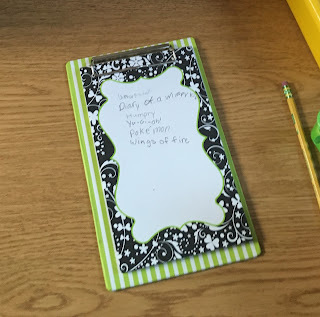 I had placed an index card at each student's seat, and pencils were in the caddy in the center of each table. I told students they were welcome say things like, "That Taylor Swift song where she..." or "Anything by Twenty One Pilots." We have specials first thing in the morning (about 15 minutes after the bell rings), so I collected the cards as everybody lined up for Art. What a treat to read everybody's responses! I downloaded music from Amazon Prime (it's free! Yay! ), making sure that the versions I downloaded were clean (free of offensive language or content) and appropriate for the classroom. When my young scholars came back, we moved on with our day, often working with our favorite songs playing in the background. I can't even express how happy I feel when my whole class is singing together while they're working on a project! I think the first time that happened, I realized what a community-builder shared music can be. 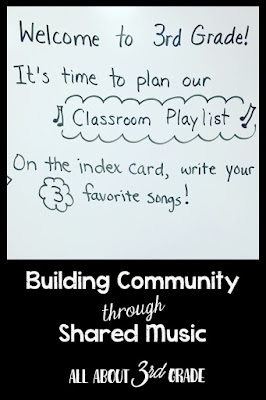 Another eye-opener for me regarding the community-building qualities of shared music was when one of my students last year proclaimed that a particular song was "our class theme song"! 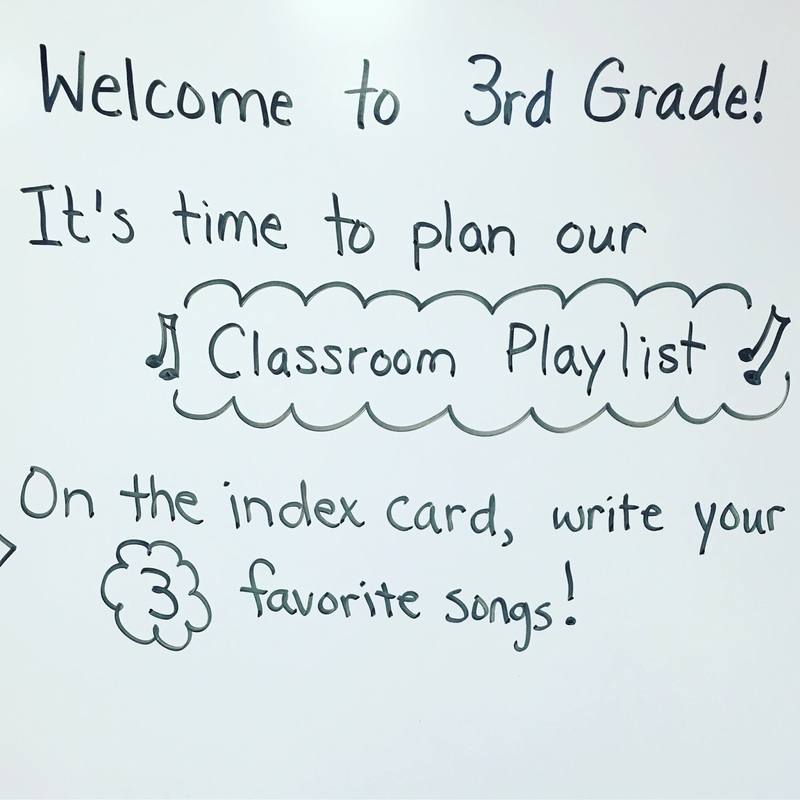 Students often have additional songs that they think of later, or that comes out mid-year. 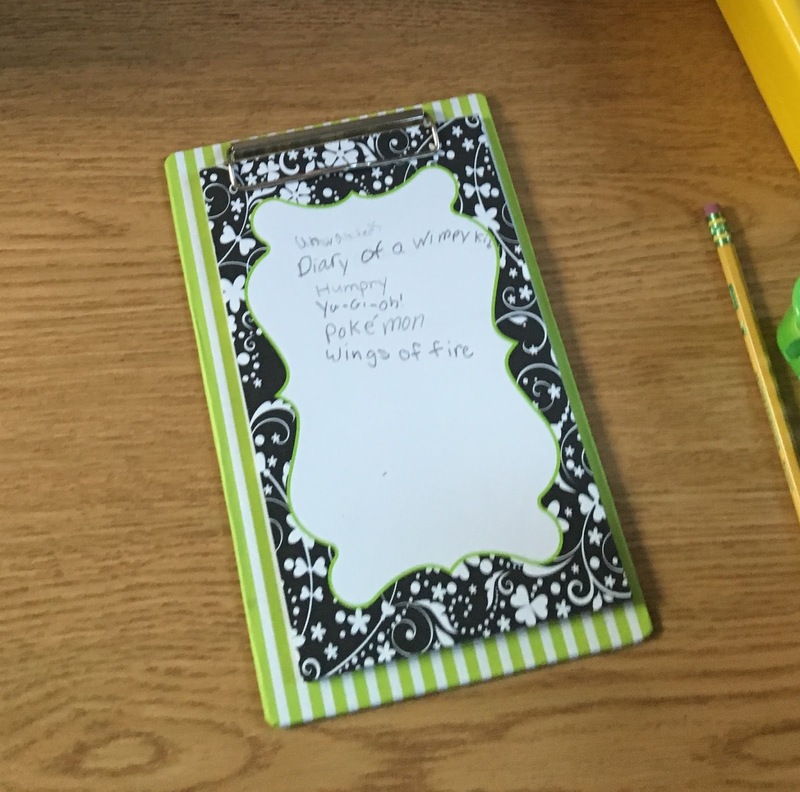 I keep a notepad and pencil on our table next to the bathroom sign-out log so that kids can add to it as ideas occur to them. 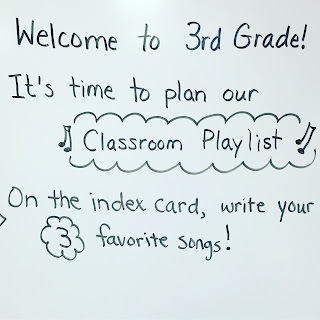 One of the bonuses is that these song requests reveal a bit about each student. While most requests were pop chart favorites, I did get some interesting digressions - The Chicken Dance, Spring from Antonio Vivaldi's Four Seasons, and The Star Spangled Banner, to name a few! One sweet request came from a little boy who shared that Peter, Paul, and Mary's Lemon Tree makes him happy! And really, I couldn't ask for any more than that! LOVE the index card idea! I like to play music when we need a break from sitting at our desks or the rug. It gets them up and dancing for a few minutes and fresh to learn. Thanks for the great ideas!